It might only be mid September but I know fall is here. Some of my favorite parts about the changing of summer to fall is the cool breeze and falling leaves… along with the sound of my husband getting excited about some football play that is going on hundreds of miles away from us. I am thinking that this might be the fall of pumpkins because I have so many pumpkin crafts and recipes lined up to share with you this season! 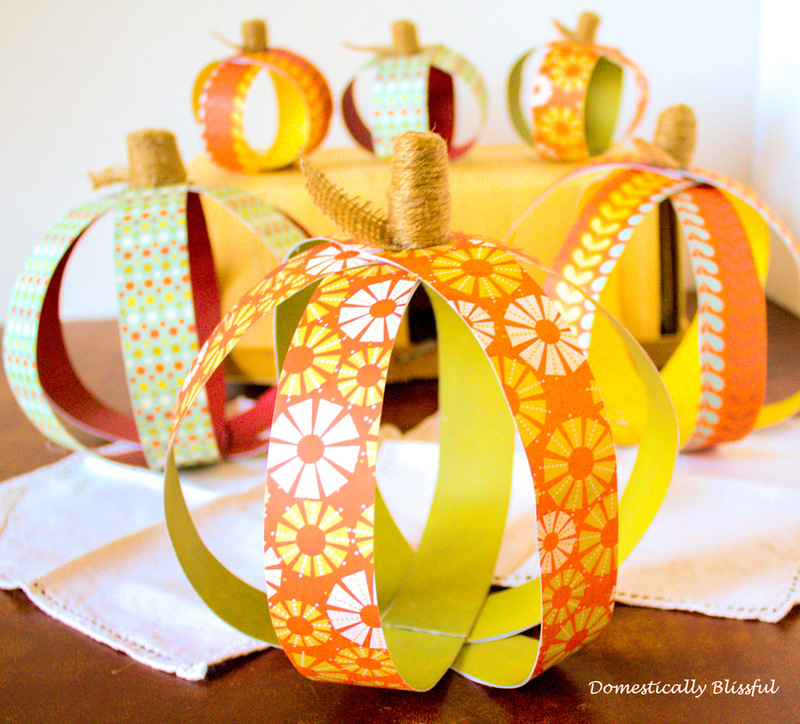 Here is a fun paper pumpkin craft to decorate with this fall! First, choose two pieces of scrapbook paper and use the glue stick to glue them together – make sure that the two pagers are evenly lined up and that the decorative side is facing out. 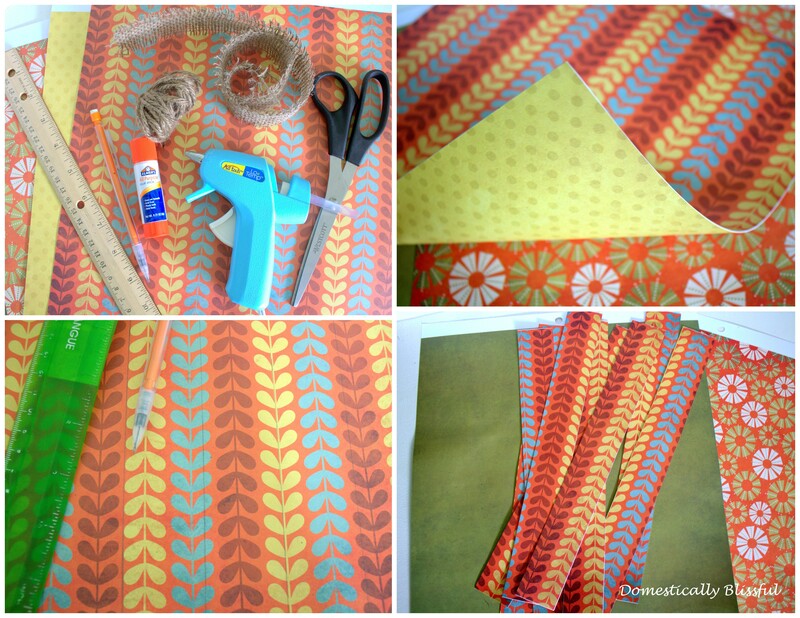 – Skip this step if you have a piece of scrapbook paper that has a pretty fall pattern on both sides. Next, use the ruler’s length and width as a guide to measure the width of the strips. Place the ruler on the edge of the paper and use the pencil to draw a line indicating the first strip, then move the ruler over – lining it up with the line just drawn – and draw another line. Continue to do this until you have run out of room on the paper. Then use the scissors to cut out the strips saving the scraps for later. I used a ruler that was about 1 1/2 inches thick which allowed me to trace out 8 strips of paper. Out of these 8 strips of paper you could make one pumpkin using all 8 of the strips of paper or you could make one large and one small pumpkin. 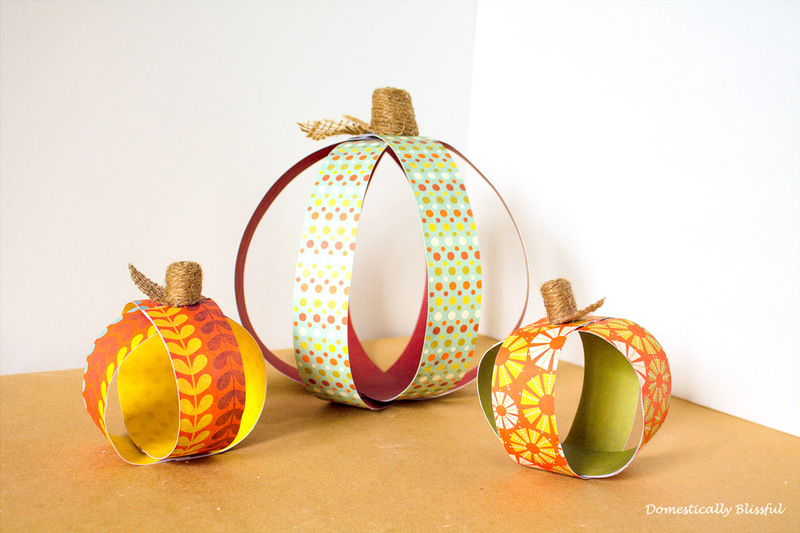 To make a pumpkin using 6 strips of paper start by apply a thin strip of hot glue to the bottom of one of the strips of paper and gluing it to another strip of scrapbook paper. Continue to repeat the above step until you have 3 long strips. If some of your strips of paper start to come unglued use the hot glue gun to glue them back into place. Make sure that when you press the 2 pieces back together that they line up evenly and that they are curved to make the rounded shape of the pumpkin. 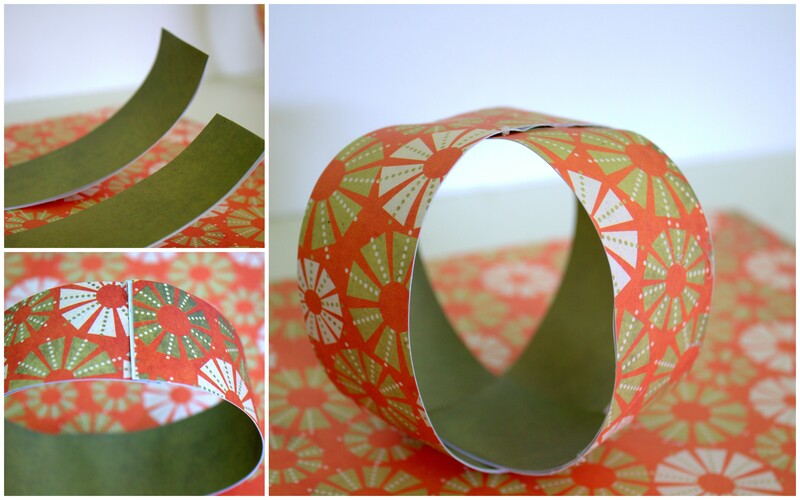 Next, assemble the 3 long strips of paper to make a star – as the picture above indicates – and glue them into place. To form the pumpkin pull 2 of the loose ends of the star up towards the center – giving them a curve – and glue the pieces together as seen in the picture above. 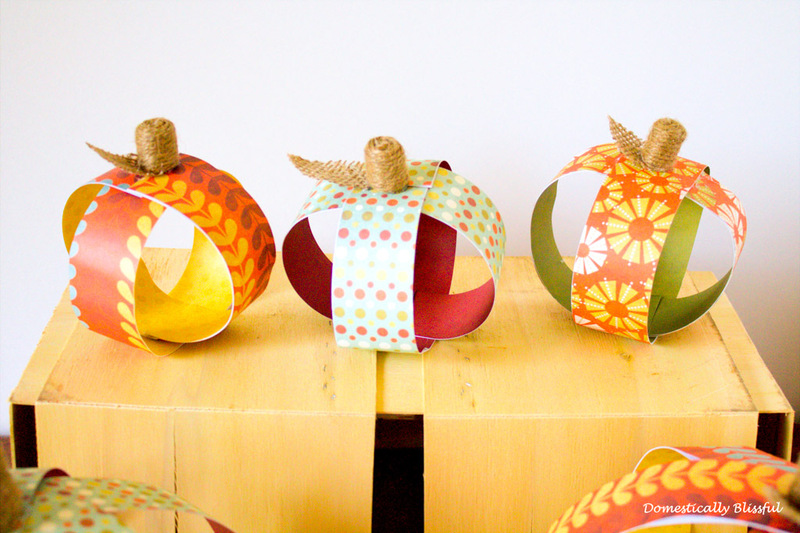 Continue to pull the loose ends of the pumpkin towards the center and glue them into place. This is what the top of your pumpkin should look like at this point. Now to make the stem and leaf. 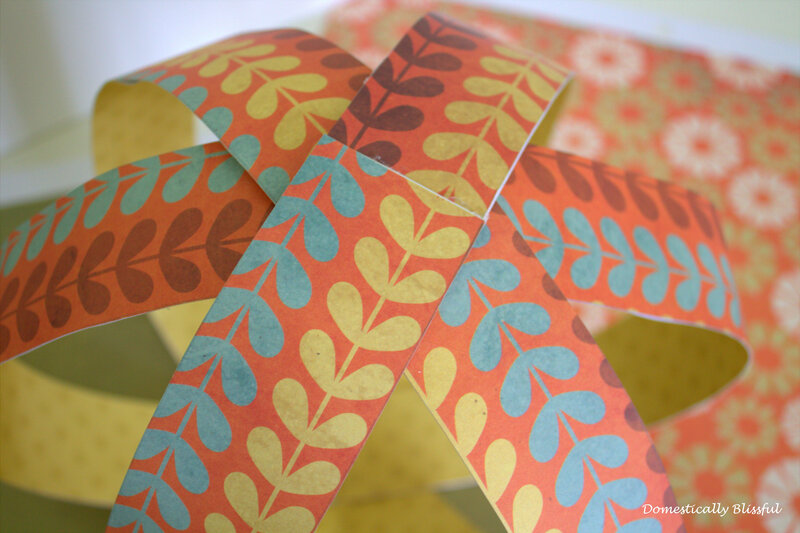 If you had any scrap paper left over this is the best way to use it! 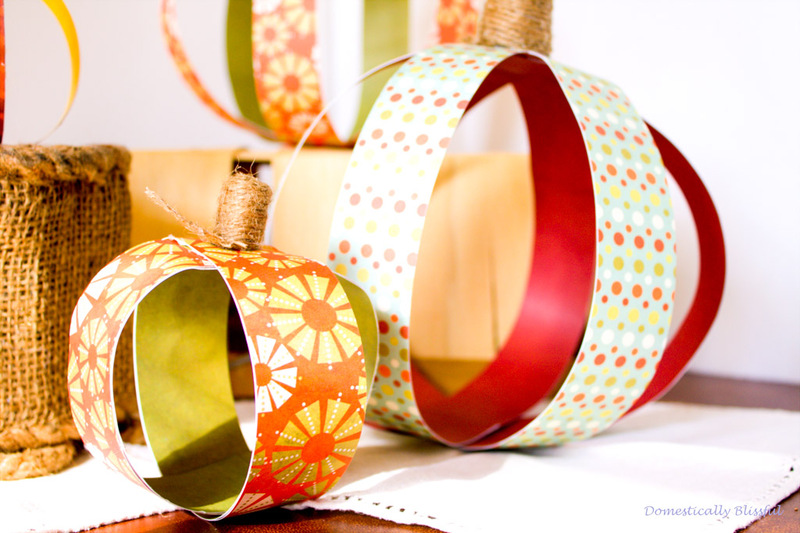 Start by rolling up the scrap paper and gluing it into place so that it doesn’t unravel. 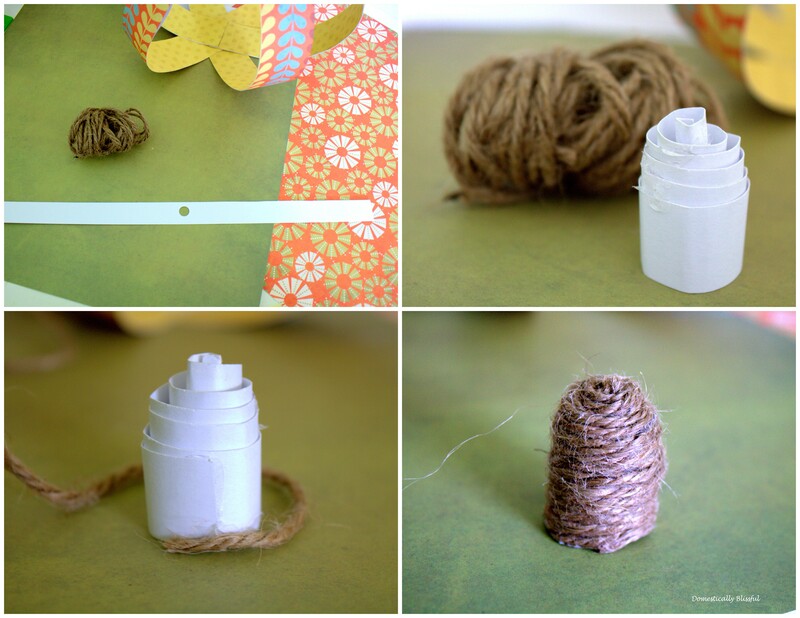 Next, glue twine around the scrap paper starting at the base and working your way up and around. Now to make a leaf! 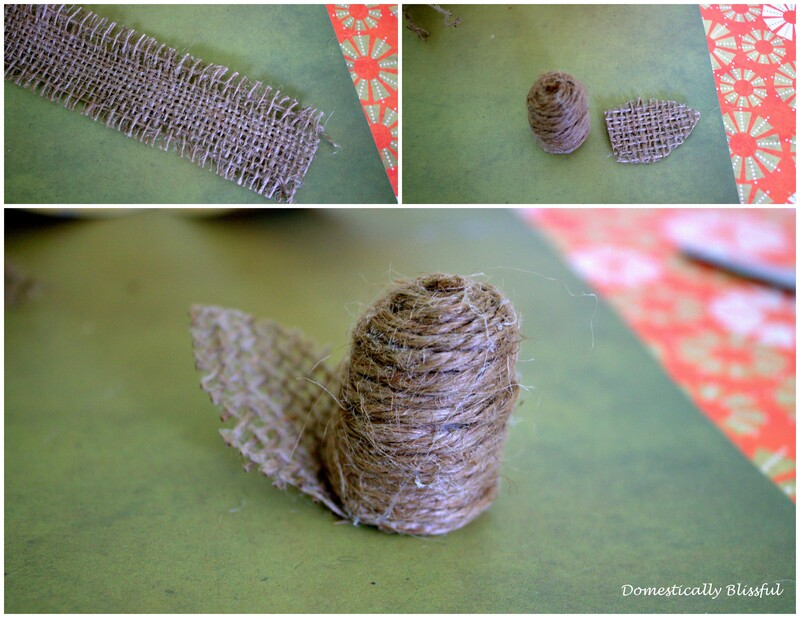 I just took some fringed burlap ribbon and cut out a leaf attaching it to the base of the twine stem with hot glue. To complete the pumpkin attach the stem and leaf to the top of the pumpkin with hot glue. Now on to the mini pumpkin! Since this pumpkin is rather small, I went ahead and curved the strips of paper before glueing. To make this mini pumpkin you do just about the same thing as you did for the large pumpkin. 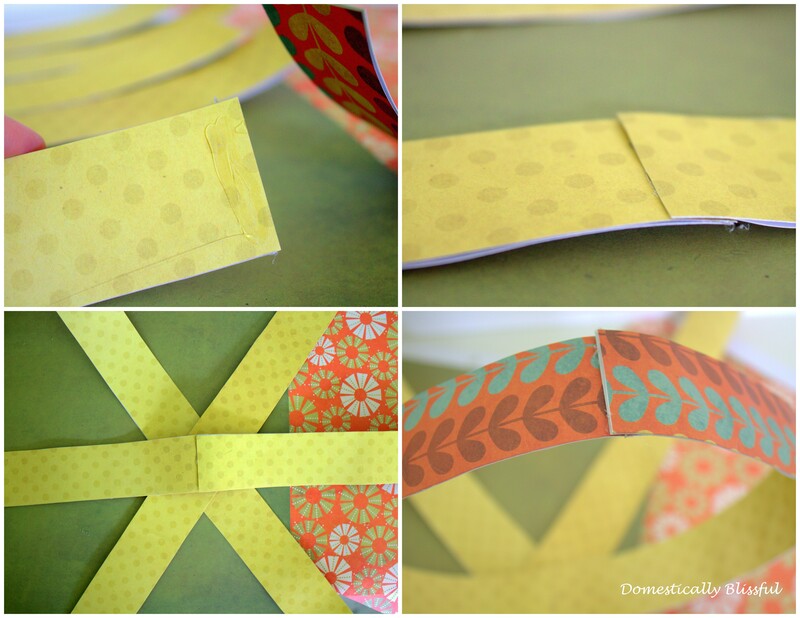 Lay out the 2 strips of paper on top of each other – it will look like a t – securing them with hot glue. Then pull the loose ends up to the middle and secure with hot glue. I flipped my mini pumpkin over – with the glued ends on the bottom – so that the pumpkin wouldn’t tip over as easily. 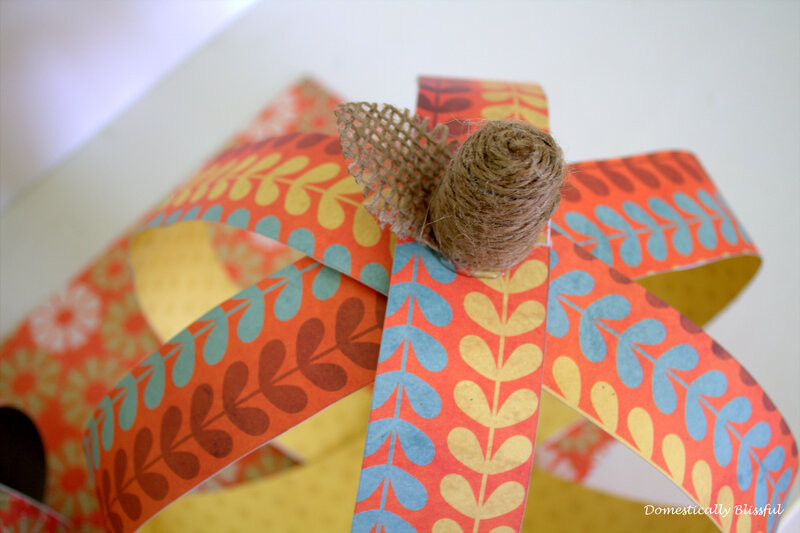 All that’s left is to make a twine stem and burlap leaf – same directions as above – and to find a place to display your paper pumpkins! I’d love to see your Paper Pumpkins! Instagram your yummy fall treats with the hashtag #DomesticallyBlissful and you might find your picture featured on DB’s Instagram!